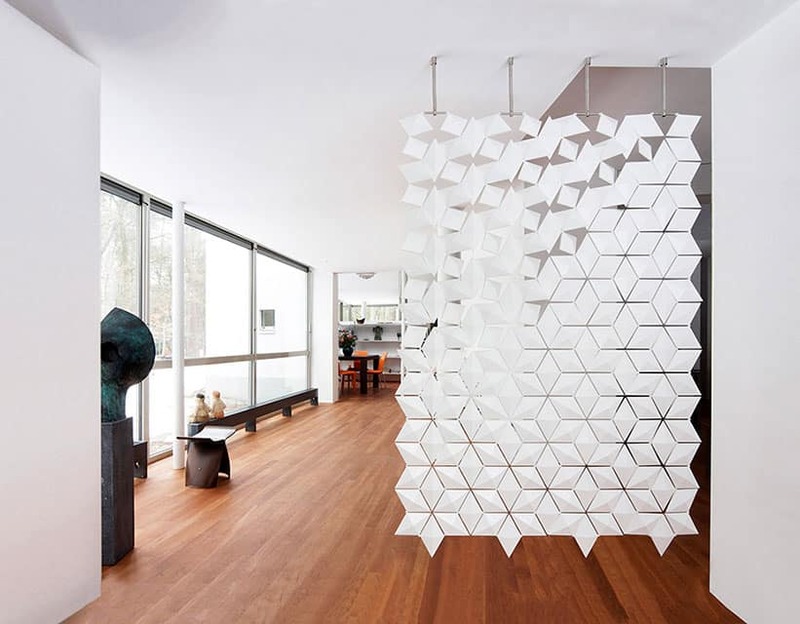 Hanging room divider screen which is sleek and modern. 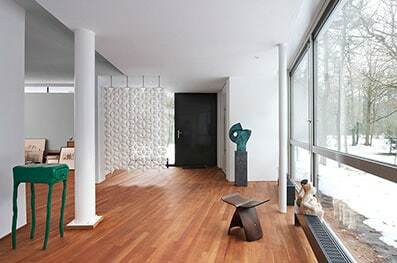 Looking for a sleek and modern room divider? Then you have come to the right place! 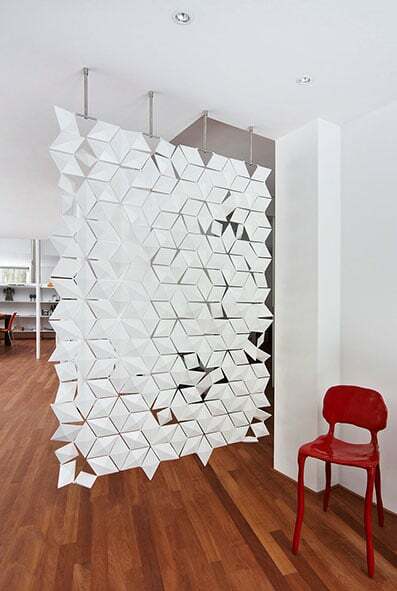 Facet, our stylish hanging room divider screen, is exactly what you have been looking for. It is elegant and neat and because it is hanging from the ceiling, instead of standing on the floor, dust and dirt will not pile up which makes it easy to clean. Facet is the whole package – beautiful, gives the wished for amount of privacy and is easy to take care of. An added bonus of our hanging room divider screen, is that it does not take up a lot of space. It is only a couple of cm’s (an inch) thick and does not have a stand. This means it can even be used in a small space or close to a window or a wall. Check out its dazzling pattern. Our hanging room divider screen has a striking, intricate pattern all over. This unique pattern consists of separate parts shaped like diamonds. You can easily turn these individual parts around. By doing that you allow more light to shine through the screen. You can also make it more or less transparent depending on your personal preference. Take a look at the different photos featured here. In some you can see the screen with all the diamond-shaped parts at their normal position. In other photos you can see the playful effect created when some of the parts are turned around at different angles. You can see more things through the screen and more light shines through. Look at the dazzling pattern it makes on the floor – isn’t it beautiful? Facet is made to order. When we receive your dimensions, we immediately start assembling your hanging room divider screen. We can make Facet in any size – big or small it does not matter. We can even find a solution for an awkward space, give us a call and together we can make a plan to create something perfect for you! Choose the color that suits you and your interior the best. We have a range of colors you can choose from. We want your hanging room divider screen to match your style. Another great aspect of our hanging room divider screen Facet is that it is antistatic, UV resistant and fire retardant. It is also lightweight (it only weighs 4,5kg per square meter) and comes with an easy 5 step installation guide. If you can hold a drill, you can install it! The photos featured here are of the interior of a spectacular manorial estate in Aalst, The Netherlands. 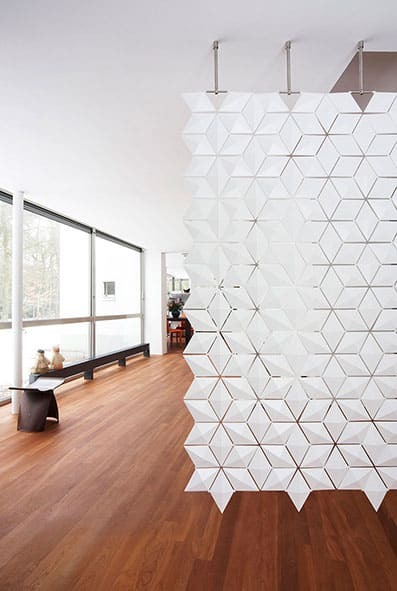 Facet forms an eye-catching part of their décor and it keeps the rest of their home separate from their entrance hall.